Clay Buchholz picked up a ball and threw it in a real game Sunday. Looked liked he may have forgot how. He didn't make it out of the first inning. With general manager Ben Cherington in attendance, Buchholz's fist rehab start for the Lowell Spinners didn't go as planned. 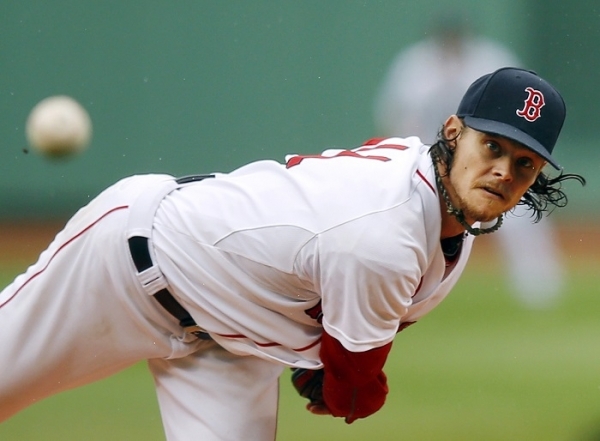 Buchholz retired two of the seven hitters he faced and was pulled after throwing 38 pitches. The Red Sox had hoped he'd throw at least 50. Buchholz is scheduled to pitch again Friday in a minor-league game at either Triple-A Pawtucket or Double-A Portland. Sox manager John Farrell said it's possible Buchholz could rejoin the team September 8 against Detroit.